Published at 07/12/2017 20:59:48 from Argentina, 8342 visits. 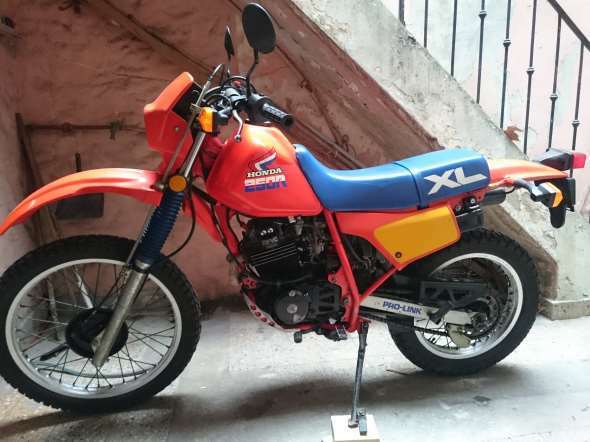 Honda XL250R low California. Year 1985, shot in the country in 1993. Sole owner in the country, complete papers to my name, based in capital federal. Completely original, is the model with two Carburetors. Used almost only 9300 miles, i.e. 15,000 km. approved VTV. Delivered with original patent of California, original manual of the motorbike, original full tool kit HM (Honda Motors), original spark plugs, original brake pads, pneumatic even placed original front yokohama. All made in japan. Swap by Harley Davidson.